Superdry men's Podium oversized long sleeve t-shirt. This oversized long sleeve tee is the perfect addition to your wardrobe, featuring a contrasting panel across the chest and sleeves and a Superdry logo graphic in a cracked finish. 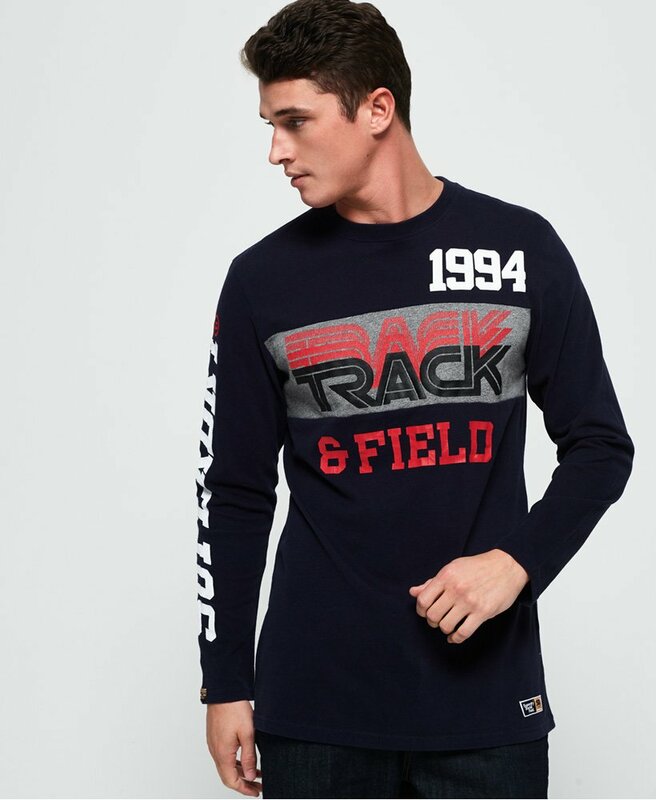 The Podium oversized long sleeve t-shirt also features a cracked number graphic on the sleeve, a Superdry logo tab on the cuff and a logo badge above the hem. Wear with skinny jeans or joggers for an on-trend look inspired by street style.